Kik Messenger is a popular cross platform messaging client (2.5 million users in one month!) that was recently removed from RIM’s App World. It caught on like wildfire for Blackberry users because it was free–and it would enable users to chat with Kik contacts on iPhones and Android devices. Why was Kik removed suddenly? Rationale would explain that the app was in direct competition with RIM’s BBM (Blackberry Messaging) service. 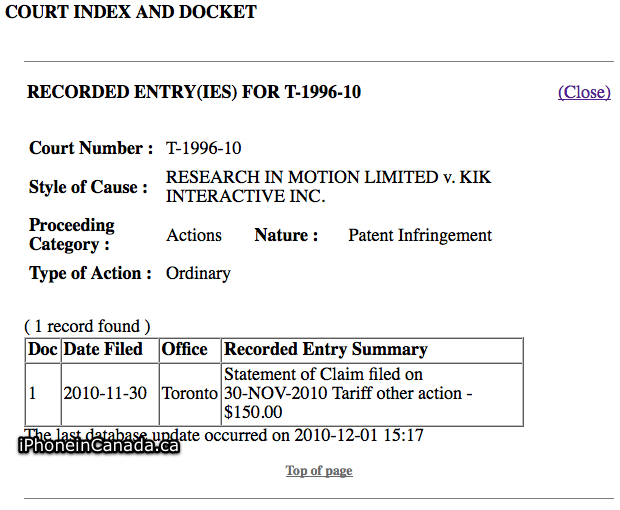 Looks like Co-CEO Jim Basillie (he doesn’t like apps) is taking things up to another level and suing Kik for patent infringement. But it doesn’t stop there. New court documents allege that Kik CEO, Ted Livingston, a former RIM employee used his position (Technical Management Product Coordinator) within the BBM group (2007-2008) to his benefit. It is alleged that Livingston had access to proprietary BBM info and violated his confidentiality agreements. Other allegations are that the app itself accessed user address books and other confidential info, sent that info to Kik servers, and then used for purposes of spam. The following Canadian Patents are being infringed upon: 2353161, 2485791, 2472474. You can read the statement of claim here. The issue here is that Livingston was a former employee of RIM, and had insider access to proprietary BBM info, and allegedly used that to his benefit in the creating of Kik. What do you think? Is Kik just a BBM knockoff? RIM needs to start innovating here. BBM is on its way out out the door as other competitors such as WhatsApp blow it out of the water. 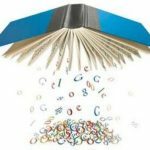 Google Editions iPhone App Coming to Compete with iBooks?